Editor's Note, 6/8/2018: Anthony Bourdain, the globe-trotting TV host and food personality, has died. 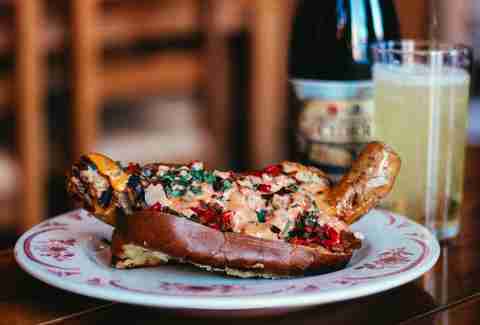 In his memory, Thrillist is re-sharing this interview on his favorite food in Chicago. His enthusiasm for the city and its culinary achievements is as self-evident now as it ever was. He will be missed. So, it only makes sense that Bourdain returned to the city last fall to film an episode of his CNN show, Parts Unknown. 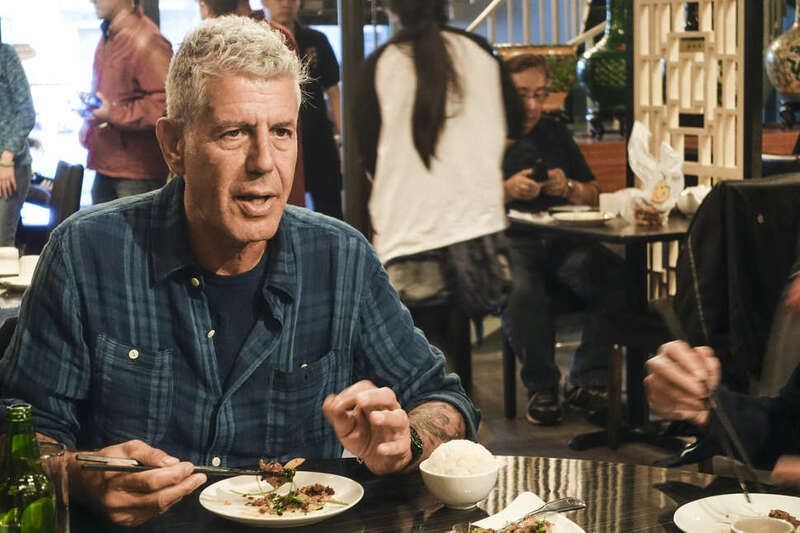 In the episode, which debuted May 1st, Bourdain sampled restaurants and discussed the city’s past, present, and future with noted locals Steve Albini, Lupe Fiasco, Stephanie Izard, and Old Town Ale House owner Bruce Elliott (we assume he's in good standing in regard to the No Shots list). While the show itself is never meant to be a comprehensive look at a city (“It’s personal stories, to try and catch an experience or experiences, and that’s it”), we were able to get his own top picks from his Chicago journeys thus far. If you want to eat at Bourdain's favorites, these are the nine spots to hit. 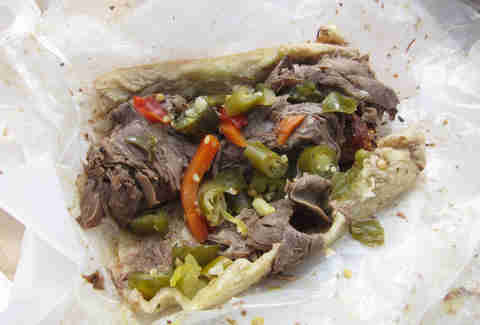 Known as the king of Italian beef in the Chicago area by those in the know, Johnnie’s has been slinging beef since 1961. Have cash, an appetite, and patience for the line. Beer and pizza go hand in hand here at this raucous, bustling restaurant. The beer: medal-winning brews from the Great American Beer Festival and World Beer Cup. 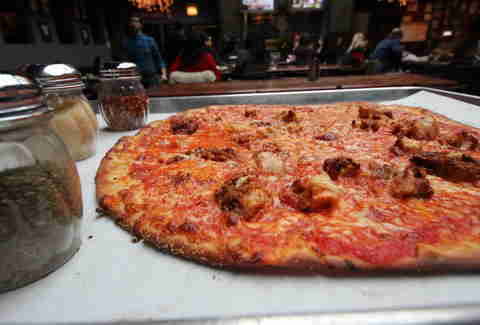 The pizza: thin crust modeled after the Neapolitan styles popularized in New Haven that can ordered with toppings from Honey Butter Fried Chicken and the departed Hot Doug's. Stephanie Izard’s restaurant busted out of the gates fully packed due to her victory on Top Chef Season 4. Try goat any which way from goat milk ricotta on bruschetta to goat loin with smoked apple-potato purée. Reservations may be hard to come by, but showing up at the beginning of service to snag a table is achievable. Local politicians eat and hobnob with reckless abandon at this smorgasbord-style counter service joint. 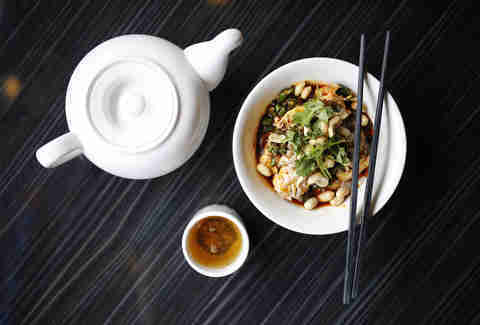 At Sze Chuan Cuisine, a newer spot in Chinatown that specializes in heat, Bourdain is accompanied by Stephanie Izard -- having recently opened Duck Duck Goat -- on a visit for Parts Unknown. 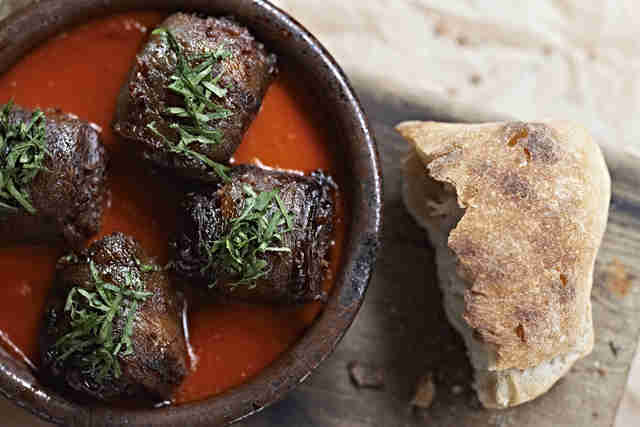 Mediterranean-inspired, tiny, and featuring a dish -- chorizo-stuffed dates with piquillo pepper sauce -- that will never, ever come off the menu (lest they incite a riot). You’re here for the sandwich that has made national headlines. 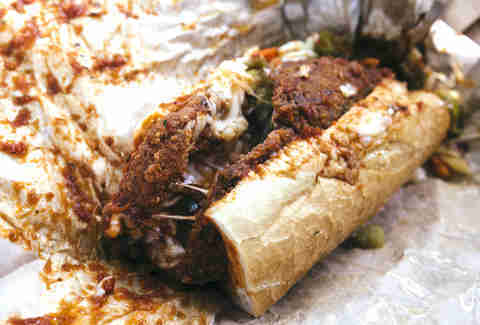 A skirt steak that gets breaded and fried, slapped on a Turano French roll after getting dredged in meat sauce. It’s Chicago, not LA... eat the sandwich. You’re welcome. 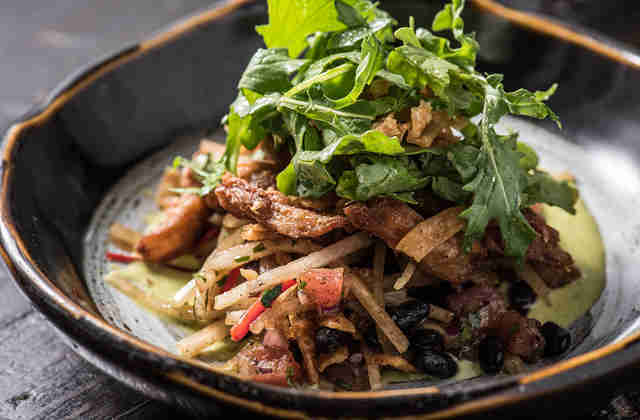 Paul Kahan’s beer hall-style tribute to pork and oysters anchors a now bustling block of restaurants in the ever-receding meat packing area of the city. The Tuscan-style kitchen in the heart of Old Town has traded on a lively atmosphere and friendly staff for nearly 30 years. 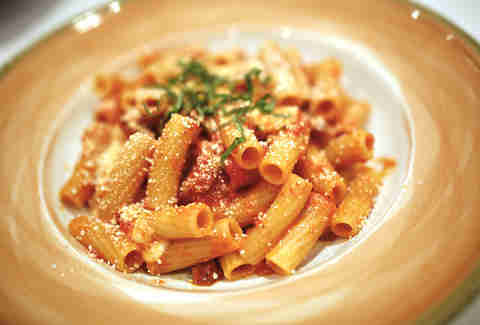 The menu hits the expected spread of rich pastas and desserts along with hot bread and a kitchen sink salad. The grand second-story dining room is perfect for parties, and the terrace is coveted for days above 60 degrees. Bourdain loves it because: "Topo Gigio is a massive Italian-American joint that serves -- much better than you would think -- old-school stuff." Brett Hickman is a local freelance writer whose dying wish is to be buried in a pit of fried chicken. Follow him on Instagram and Twitter.